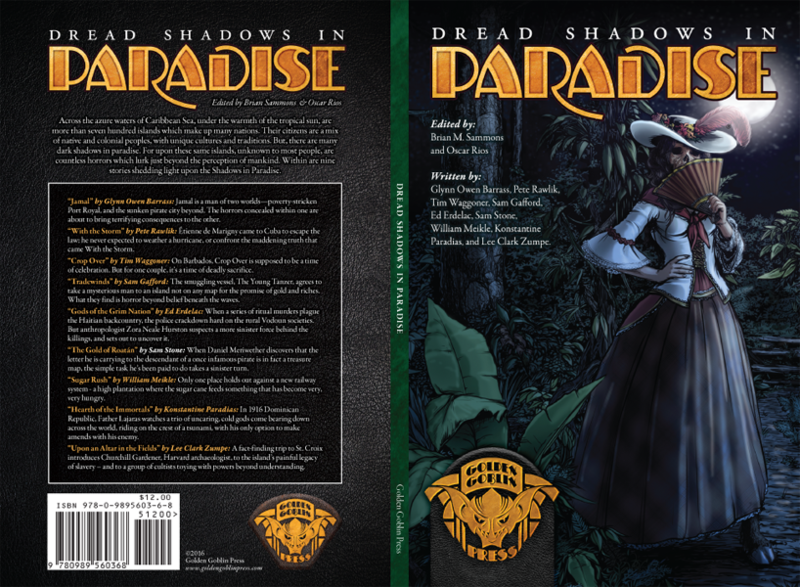 This is the cover for Dread Shadows in Paradise, a fiction anthology in the vein of the cosmic horror fiction of H.P. Lovecraft and related authors, and set in the Caribbean of the 1920s. The design aesthetic was intended to evoke the lingering influences of Art Nouveau as well as the burgeoning Art Deco movement of the period.